The Altar Guild is a team of parish members who work to keep the interior of our church inviting and clean. Main areas of cleaning include the Sanctuary, Narthex and pews and holy water holders. 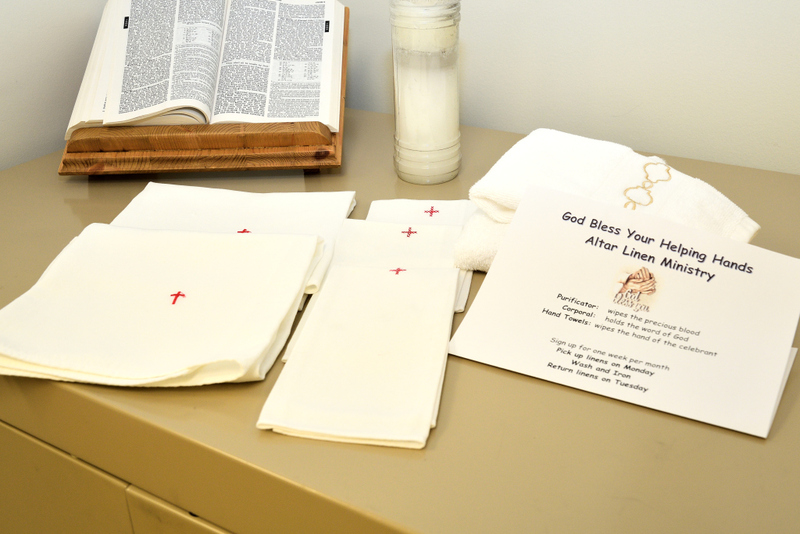 The Altar Linen Ministry is comprised of a group of dedicated women parishioners who launder and iron the linens used in all Masses. 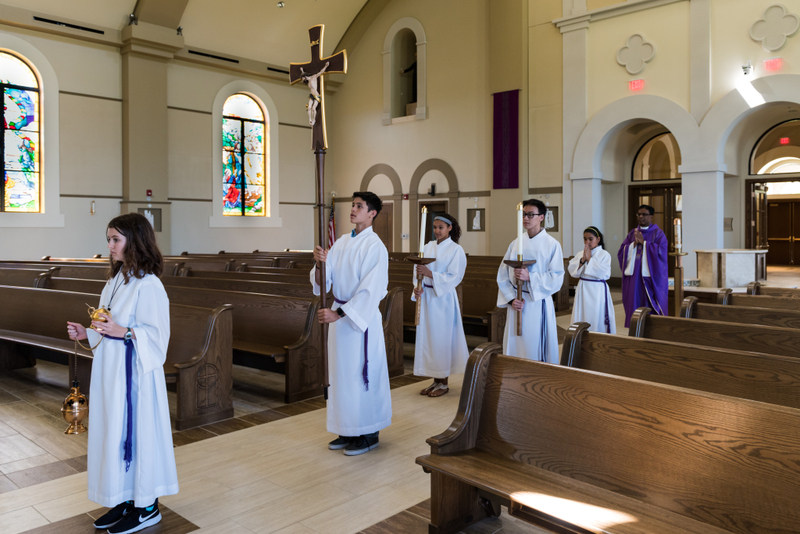 The Altar Server Ministry is open to all of the boys and girls of our parish who are in the third grade (or above) and who have received First Communion. The primary duty of an altar server is to assist the presider during Mass and other Liturgical celebrations. Training sessions and meetings are held throughout the year. The Art and Environment Ministry works to enhance the sanctuary and worship areas of our church through the use of flowers, plants, and other materials as we follow the liturgical calendar through the year. and helps us “escape the anxieties of daily life,” exercise “vigilance at all times,” and “pray for strength” in Advent and in all seasons (Luke 21:34-36). 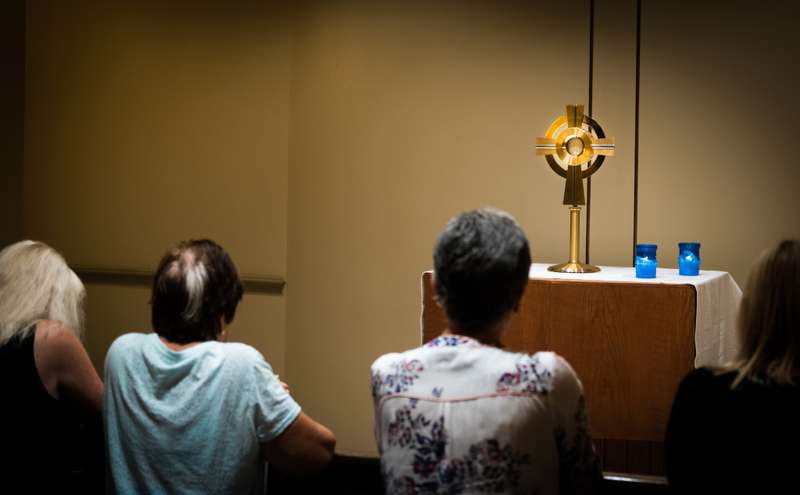 We are always in need of adorers, and all of us are in need of Adoration of the Blessed Sacrament. Extraordinary Ministers of Holy Communion (EMHC) have the privilege of serving at the table of the Lord to distribute the precious Body and Blood of Christ. Certification is a multi-step process starting with the on-line Diocesan Safe Environment Training course. After getting fingerprintedand background checked, a three-hour Saturday morning Diocesan Training Class is required. 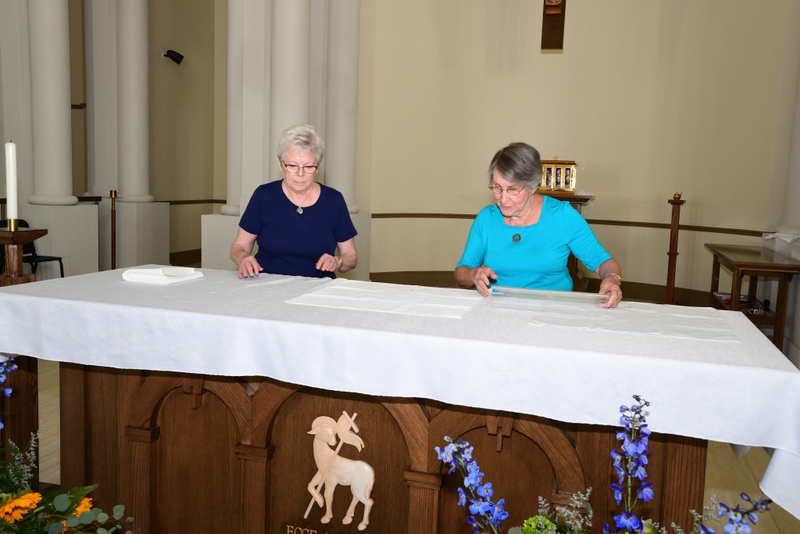 At the completion of all mandatory requirements, the Pastor commissions EMHC to serve at the Mass. Greeters welcome and warmly greet worshipers as they first enter St. John the Evangelist Church for Mass. They also assist with the orderly flow of people. Ministers of the Word are lay ministers of St. John the Evangelist Community who participate at Mass by proclaiming designated scripture readings. Individuals who express an interest in this ministry and who have good speaking voices receive training from experienced lectors. Guidelines are provided and periodic meetings and training sessions scheduled throughout the year. 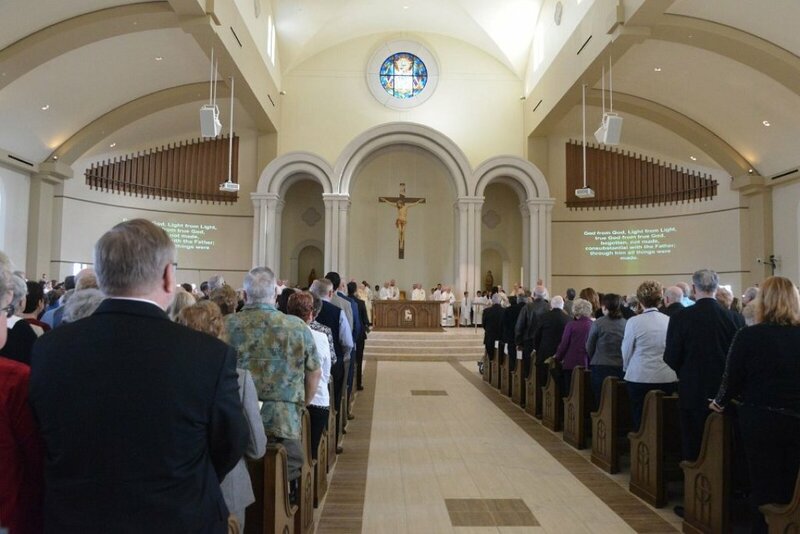 The Music & Liturgy Ministry at St. John the Evangelist consists of a vibrant group of vocal and instrumental musicians who work together to assist the assembly at weekend and special liturgies. Opportunities are available for all ages in various choirs and ensembles, as singers, instrumentalists, and piano/organ accompanistS. Sacristans are Extraordinary Ministers of Holy Communion who have the added responsibilities of preparing the sanctuary for the liturgy, assisting during the liturgy, ensuring the smooth running of the Mass and preparing the sanctuary for the next Mass and in assuring that the Tabernacle is secure. The Sacristan serves the presider in the absence of a Deacon and/or altar server and assists at weddings and Masses of Christian Burial. Ushers -- Ushers at St. John the Evangelist offer hospitality to parishioners, as well as provide for the practical needs of assisting with seating, collecting the offerings, and distributing parish bulletins.